At a time when the nursing home industry is lobbying Congress to avoid cuts in Medicare payments, a federal watchdog agency is reporting that taxpayers overpaid nursing homes $1.5 billion. The study released this week by the inspector general’s office of the Department of Health and Human Services concluded that nursing homes billed about a quarter of claims incorrectly in 2009 – the year it studied. Most of those claims were “upcoded,” which means Medicare was billed for services that were more extensive than what was provided or needed. Many of the claims were for intensive physical, speech or occupational therapy. The overpayments represented more than 5 percent of the $26.9 billion paid to nursing homes in 2009. “We found that they are billing for high amounts of therapy, and they don’t provide that. Or they’re billing for it and the patient doesn’t need that amount,” Jodi Nudelman, the New York regional inspector general in charge of the study, said in an interview. Nursing home industry officials lashed out at the report, saying that it didn’t take into account individual patients’ needs. “Bureaucrats questioning these services after three years and saying they know what’s in the best interests of patients is not good medicine and doesn’t make sense,” Mark Parkinson, president and CEO of the American Health Care Association and the National Center for Assisted Living, said in a press release. Parkinson said that nursing homes provide life-changing therapies to hundreds of thousands of patients who have suffered strokes, falls, fractures and other ailments. He said those patients work with their doctors and therapists to map out a care plan. The nation’s 15,000 nursing homes are facing possible Medicare cutbacks as Congress and President Barack Obama try to negotiate ways to avoid automatic cuts in defense and entitlement spending. This week, the association launched a series of TV, print and radio ads aimed at defeating those cuts. 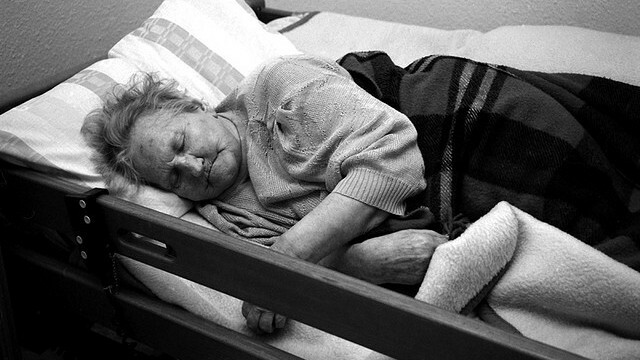 In fiscal 2012, Medicare paid nursing homes $32.2 billion. Greg Crist, the association’s vice president of public affairs, said his industry already had an uphill fight on its hands and that “it’s too early to tell” whether the federal report will hurt its efforts. Medicare, the federal program for seniors and the disabled, pays for nursing home care for limited periods after patients leave hospitals. The homes assess patients for therapy and put them into a payment category. Medicare pays different rates depending on that category – anywhere from $256 to $623 a patient per day in 2009. Nudelman, of the inspector general’s office, said it’s not just a question of overcharging but of patient care, especially when it comes to intensive therapy and treating wounds or skin conditions. “We’re concerned that when they’re not reporting information accurately, that affects the quality of care,” Nudelman said. She noted that the inspector general’s office plans to look into these quality issues in a future study. The report makes a number of recommendations to the Centers for Medicare & Medicaid Services, including increasing the number of claims reviews, using its fraud prevention system to identify nursing homes that are overbilling and changing the method for determining how much therapy is needed for patients. Parkinson, of the health care association, said that the changes Medicare has made since 2009 have improved the way it allocates payments. He said his group has supported actions to stop fraud and will continue to do so. “But to imply that clinical decisions made in consultation with doctors and therapists at the time of treatment somehow constitutes wrongdoing goes too far,” he said.